Gather your friends and family around great food this Christmas and make lasting memories while tucking into delicious Christmas specials at PizzaExpress. 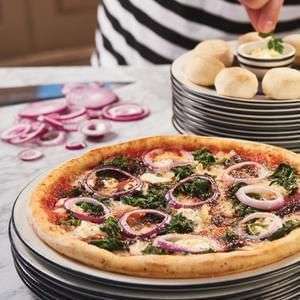 Inspired by tradition, but with a signature PizzaExpress twist, the festive dishes are made with hand-picked quality ingredients, full of flavour and of course – love. The code entitles the bearer to one £5 main course and can only be redeemed once per week. The offer is subject to availability when they've gone they've gone. Valid from Friday 24th until Tuesday 28th December 2017 inclusive.